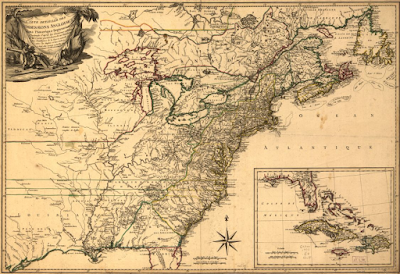 Carte detaillée des possessions angloises dans l'Amerique Septentrionale, engraved by Etienne Claude Voysard, 1777, Library of Congress. Published the year before France joined America in a war against Britain, Voysard's map was intended to give a wide view of the seat of war. In the cartouche to the upper left are implements of artillery, including grape shot, solid shot, and chain shot. 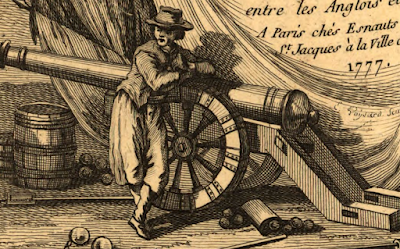 Leaning on the wheel of an old fashioned cannon is a sailor. 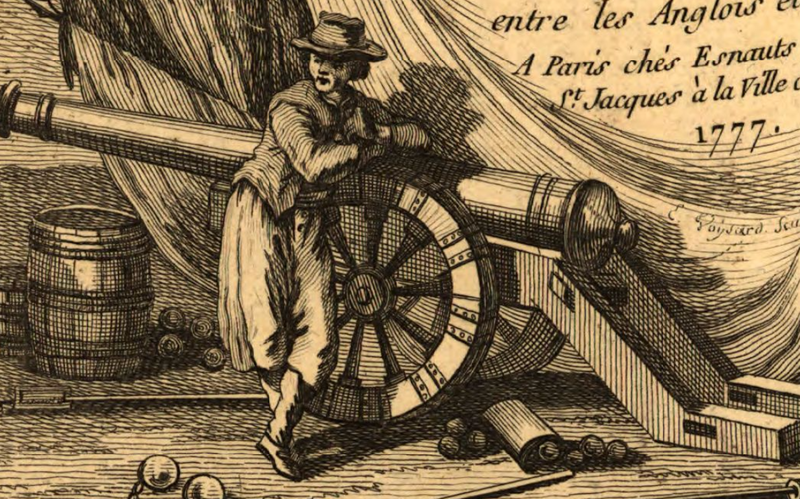 In this context, before France is involved in the war, the sailor is almost certainly intended to be English or American, but his dress is rather like a French sailor. Atop his head and over a bob wig is a battered round hat with a tapering conical crown. His jacket ends at about the natural waist and he wears a sash around his mid-section (an accessory distinctly French). His petticoat trousers run down to below the knee, where baggy stockings run to his pointed toe shoes with their oval buckles.